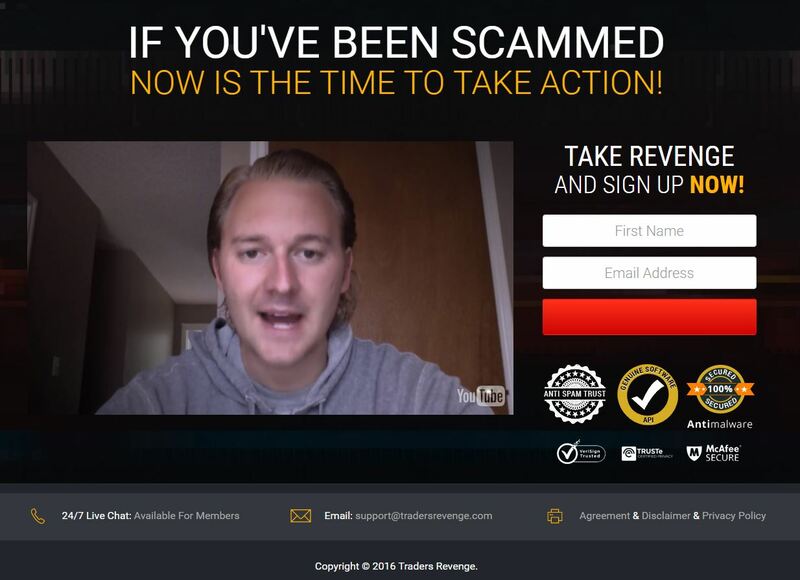 This Traders Revenge review proves that it is a binary options scam. It is presented by Ryan Jackson. Scammers often talk about others being scammers, but Traders Revenge is entirely based on this concept. Jackson says that he’s seen all the scams and that now it is the time to take revenge on them. How? By using his binary options trading software that can allegedly make you $3,500 to $6,500 per week. And this Traders Revenge is free, so again, you can get a decent income for free… can’t you? Jackson tells a BS story about having a binary options trading software built by a guy from Freelancer. But the most disgusting thing is that Jackson is saying how many times he has been scammed and that he is a real honest guy. Meanwhile he is a Fiverr actor that has supported countless scams, so he is a guy who helped scammers to steal money from thousands of people! This guy is really one of the most ignoble people we have ever seen in binary options scams. So if Jackson is a fake Fiver actor, who are the people that are endorsing Traders Revenge? Paid actors too. Look at the example on the picture, this woman has also supported many binary options scams. So all the testimonials are fake. Just by curiosity we have also checked the Traders Revenge software to see what is it about. And no surprise here, it is an app created by scammers and used by scammers only. Have a look at the picture on the right, you’ll see some of the other binary options scam that has been using it. 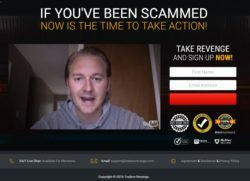 Traders Revenge is a disgusting scam that abuses binary options. 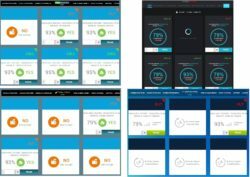 It is designed to earn affiliate commissions to scammers and lose your money in trading with a crappy app. If you want to see how binary options trading really works, try a risk free demo account. There you will see that although binary options are easy to understand, you still have to learn some things and build a good strategy in order to succeed. Oh man, even I remember this guy from other scams. Unscrupulous as fu*k!!! Hi, yeah, unfortunately these fake Youtube reviews are made in cooperation with the authors of these scams, se they are manipulated and fake. These fake reviewers are in fact affiliated with these scams.